Not even Vancouverites can escape the polar vortex, although its evilness here is tame compared to what it’s done on the East Coast. Still, this weekend it snowed for a few days straight, a wet, sticky snow blanket that paralyzed the city for, um…. 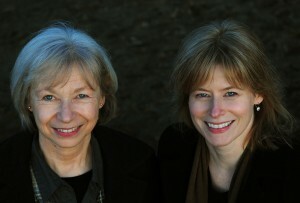 a day or two. It was enough snow to get me out shoveling a clear path to the sidewalk, not once but twice. And while there can be a certain zen to shoveling snow, while I scraped the shovel along the ground I mostly thought about dinner. As in, what could I make that would warm me up in a hurry. 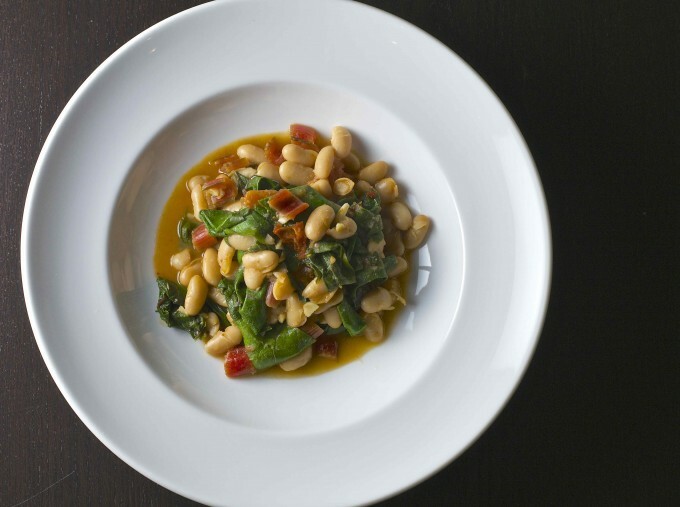 How about a white bean and chard ragout? Yum. Now, a ragout sounds fancier than a stew, doesn’t it? It’s pretty much the same thing, although in this case it’s much faster — perhaps 20 minutes to prepare and cook everything. The beans only need a few minutes to simmer as the stock reduces and the flavors blend. A few more minutes for the chard to cook at the end and you’re ready. 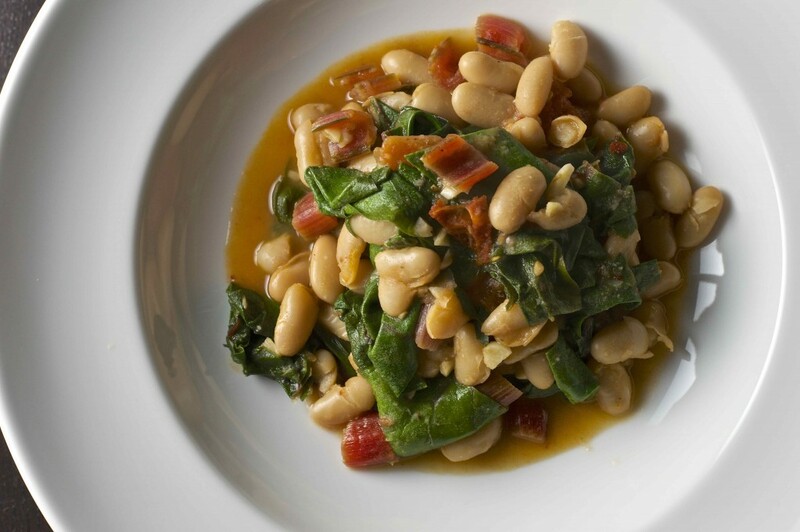 This ragout is a simple blend of pantry basics — garlic, tinned white kidney (cannellini) beans, a tomato — along some fresh Swiss chard. You could substitute another hearty green, like kale, for the chard. If you have any fresh herbs on hand, like thyme or rosemary, they would make a lovely addition too. And warming enough to keep the polar vortex at bay, at least for now. Stave off the chilly weather with this hearty vegetarian dinner -- it's simple and fast enough to put together on a busy weeknight (or after a good snow shoveling session). If you want to add some meat, I'd suggest grilling chicken or pork and adding it at serving time. Rinse chard leaves and separate the stalks from the leaves. Slice the stalks into 1/2 inch pieces and place in a small bowl. Slice the leaves in 1-1/2 inch strips and set aside. Heat oil in a large sauté pan over medium-low heat. Add garlic, red pepper flakes, and sliced chard stalks, and saute until the garlic has softened, about 2-3 minutes. Add tomato and stock. Increase the heat to medium and bring to a boil. Add kidney beans (and herbs, if using) and simmer for 2-3 minutes, or until mixture has slightly thickened. Stir chard leaves into ragout. 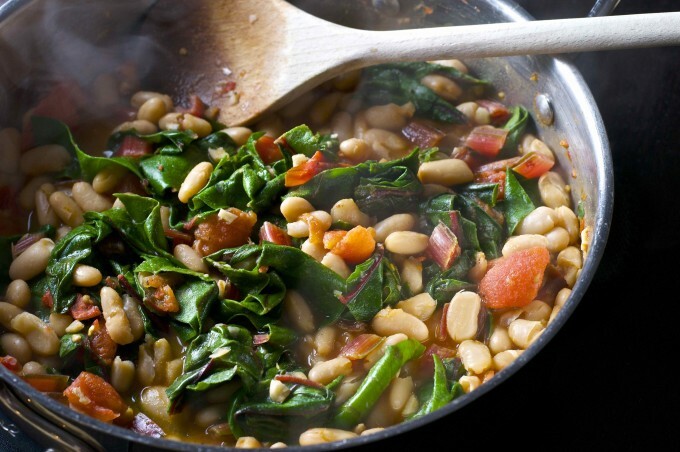 Cover, reduce heat to low, and simmer for 2-3 minutes, or until the chard is cooked through. Season with salt and pepper and serve.